100 years ago at the 1912 Olympics in Stockholm, Donald Lippincott set the official IAAF 100 meters World Record of 10 and 3/5 seconds. That’s 10.6 if you add up the fractions. Back then, stopwatches used by officials only timed to the fifth of a second (0.2), so the next world record of 10.4 (i.e. 10 and 2/5 seconds) would occur in 1921 by USA’s Charlie Paddock. Ironically, Donald Lippincott set that WR of 10.6 in Heat 16 (of 17 heats), but only won the bronze medal in the finals after several false starts including running the entire 100 meters before being called back for a false start. Analog chronographs may sound archaic, but 100 years ago, they actually had Electronic timing. 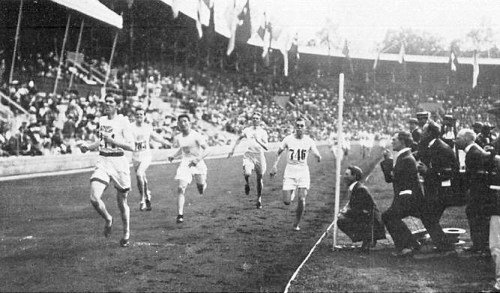 Electronic timing was used for the first time one hundred years ago at the 1912 Stockholm Olympics. Initially, the well-known telecom company Ericsson was tasked with developing the technology, but it was the Swedish inventor Ragnar Carlstedt who eventually delivered the final product. Using his expertise in electromechanics, he developed a system where reference clocks automatically started at the firing of the gun. At the same time, Carlstedt introduced another revolutionary invention; the finish line camera. The 1500 meter Olympic final was excruciatingly close with Arnold Jackson from Great Britain winning by only 0.1 second. But it was impossible to decide on the silver medal since the two Americans Abel Kiviat and Norm Taber finished side by side. For the first time in history, the outcome of an Olympic event had to be settled based on a photo finish when Kiviat was judged to be “slightly ahead". The next step in timekeeping was the photo finish camera with a time stamp imprinted on each frame, designed by Omega, which was introduced at the 1932 Olympics in Los Angeles. The 1948 Olympics saw the introduction of another innovation with the continuous slit camera, which is the basis of all timing systems for athletics used today. Four years later the clocks were connected to the slit camera giving a resolution of 1/100 s. But it was not until 1972 that official times were recorded to the 100th of a second. This summer, at the London Olympics, the systems will be even more more advanced, with finish line cameras that capture several thousand images per second. 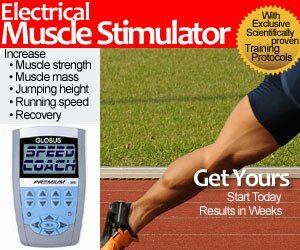 However, you do not have to be an Olympic athlete to benefit from electronic timing. The mobile technology of today has enabled these systems to shrink significantly in size and cost, making them available to everyone. The app sprintTimer packs, for the first time, a complete photo finish system, with start gun detection and slit camera technology, into an iPhone. "It feels great to be able to follow the legacy of Ragnar Carlstedt with another Swedish innovation one hundred years later," stated Sten Kaiser, developer of sprintTimer. "The response from athletes and coaches has been tremendous." but the real question is why the 100m WR “only” went from 10.6 to 9.58 in 100 years? Well…I do not have any idea .why… But I can try guessing…Actually I’d give the credits for this progress to the technology – equipment, running surface, eventually nutrition and sport sciences… And the credits of ancient performances to a healthier human race, more robust, stronger, faster…. Or maybe (actually) Donald Lippincott was really the fastest man ever… who lived on the Earth… or who ran in time measured race … Or, ( again), chronometers in 2012 weren’t the most reliable possible…Or, (again), somebody trafficked the real time…in order to “immortalize” for eternity Lippincot as an all-time super-hero impossible to be ever matched… Or DL was really high…under enhancer drugs… Who knows Jim… I think the answer at this question requires an inquire. Something like guys from Nat Geo are doing usually when they are trying to debate on or about something. This subject for a documentary!